Most people come to Panchgani to relax and enjoy the quiet, watch the birds, drink in the valleys and breathe in the fresh air. But that is not all that Panchgani has to offer. Panchgani is a hidden gem when it comes to having your dream destination wedding at a more manageable price. 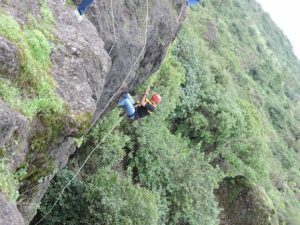 Panchgani is also a preferred corporate events destination, where companies can make mass bookings for their employees to stay, conduct seminars and throw in some fun, team building activities too. 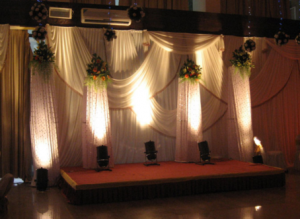 Ravine hotels offers excellent wedding and corporate event services in Panchgani. Ravine Hotel is an impressive Panchgani resort with modern facilities, and this is not just in terms of the lovely views but also in terms of state of art facilities. For weddings, Ravine Hotels offer fantastic deals that let you have your dream destination wedding in style. Panchgani is so much easier to travel to, then say Jaipur and Udaipur and it is also so much more fun in terms of climate. It is much cheaper to host a wedding here, not to mention that travel costs are cheaper too. There are smaller halls for the smaller rituals and functions and a large hall that can accommodate 250 people. The actual wedding set up and seating can also be organized outdoors amidst the blue skies and flawless arrangements. 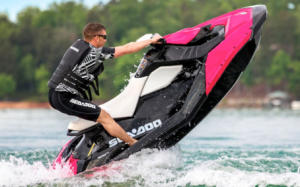 The catering will also have people talking about it for long afterward, while the staff is well trained at handling odd requests of families and friends. A hair salon and a spa are both available right at the hotel, to pamper the bride and guests. 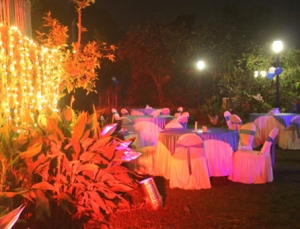 Pre and post wedding parties, lights, photo-shoots and all other extracurricular activities can be just as easily organized here. 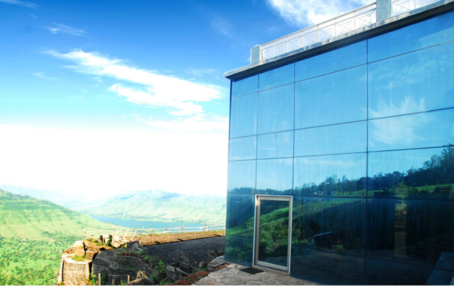 Similarly, Panchgani’s Ravine Hotel also offers holistic corporate packages for companies who’d like to bring their staff over for a seminar or for corporate team building activities. The main hall can be booked for seminars and even previous TedTalks have been conducted here. The spacious hall overlooks that Krishna Valley and gives people with business on their minds something other than agendas to look at. The air-conditioned hall can accommodate 150 people. It also has a screen, other light and sound equipment and an AV system installed. Lighting and mics are organized with the package booked. Food and drinks can also be pre-booked and are all made fresh and in-house before the event. 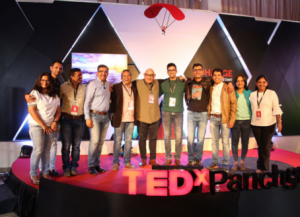 The success of events such as TedTalks Panchgani, Mahavet 2017 technical summit and other corporate events including Zee Awards lays testimony to the fact that Ravine Hotel’s organization is always spot on. On the team building side, Ravine Hotel is the perfect place to be at, what with a game room for adults, tennis courts, trekking and hiking options, camping options, indoor theatre and halls for group activities, and even outdoor adventure activities. Employees in desperate need of a break can relax and unwind here. 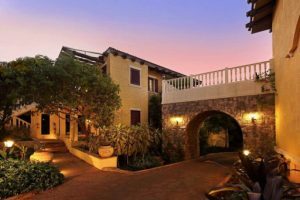 In the company of office colleagues, Ravine Hotel provides a corporate holiday that is not just fun and enjoyable, but also memorable to the point of being a talking point for months to come. Employees in need of adventure can explore the mountains and forests, go on hiking and trekking trips or even do some mountain climbing. 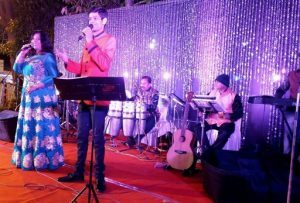 Panchgani, being the hip and happening place for destination weddings and corporate events, it comes as no surprise that other Panchgani hotels and resorts offer similar services as those listed above. Saj Resort which is a 25-minute drive away from Ravine Hotel also offers similar facilities. It is a resort in Mahabaleshwar, a more touristy hill station just ahead of Panchgani. This Mahabaleshwar hotel has 78 rooms and offers vegetarian in-house dining. For enthusiasts, the hotel offers guided treks and climbs too. Another few minutes ahead of Saj Resort if Mahabaleshwar’s own Le Meridien. Le Meridien hotels are not new to hosting weddings and neither are they new to hosting corporate events and organizing team building activities. Though slightly premium in the cost, Le Meridien is also a wonderful place to have a memorable wedding or conference that will leave an impression on all visiting guests.